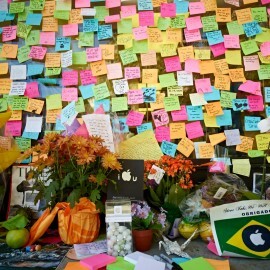 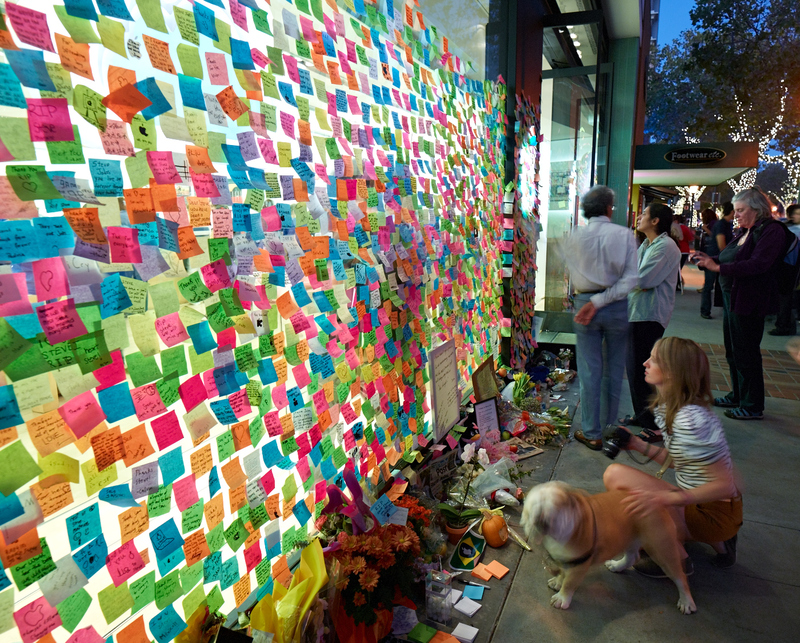 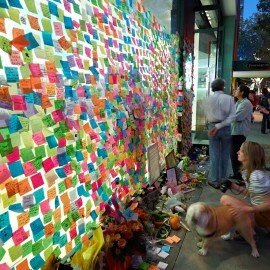 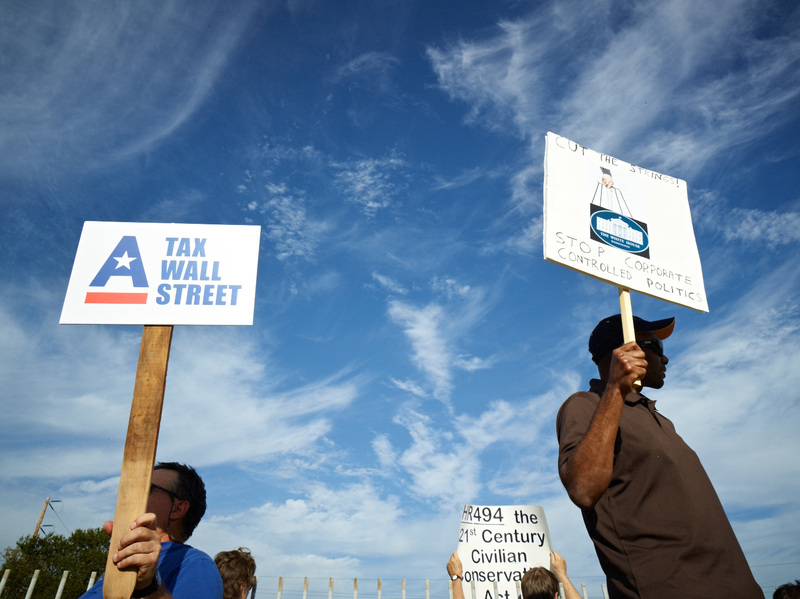 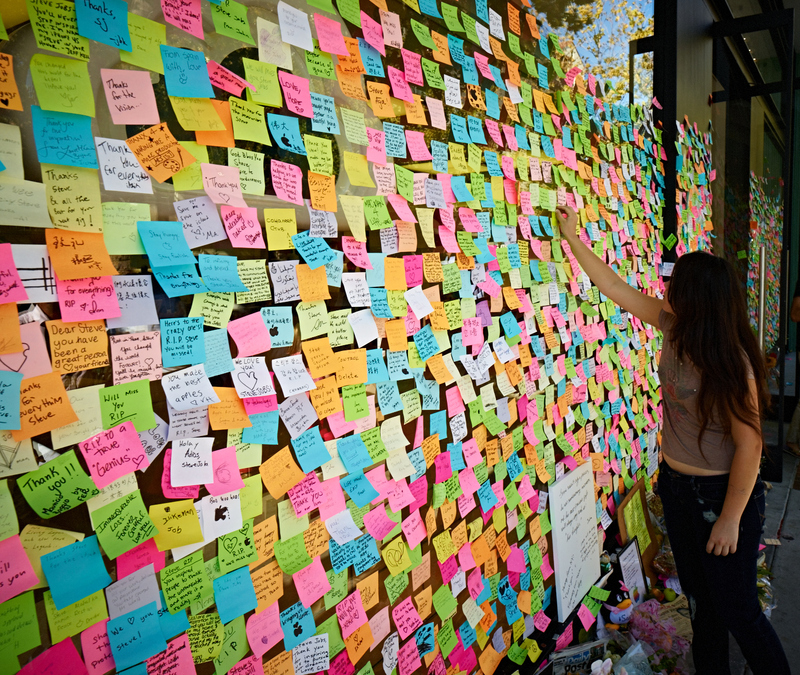 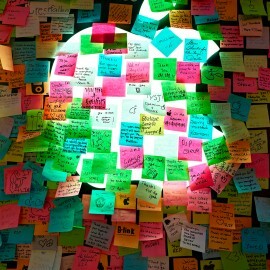 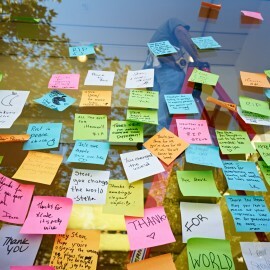 In the days after his death, thousands of Silicon Valley residents made their way to the Apple retail store in Palo Alto, California to leave personal notes of remembrance mourning the loss of Steve Jobs. 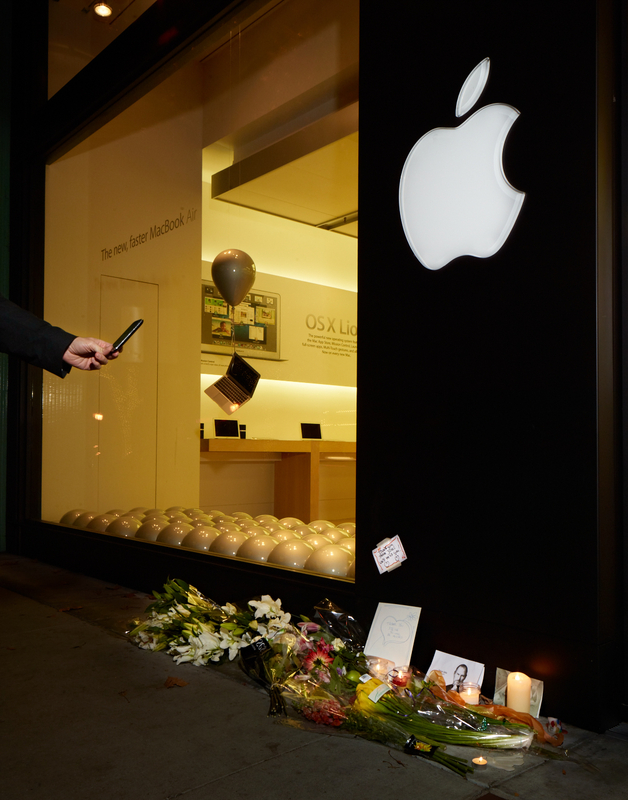 Located just blocks away from his residence in Palo Alto, Jobs frequently visited this particular Apple store to interact with customers and fans. 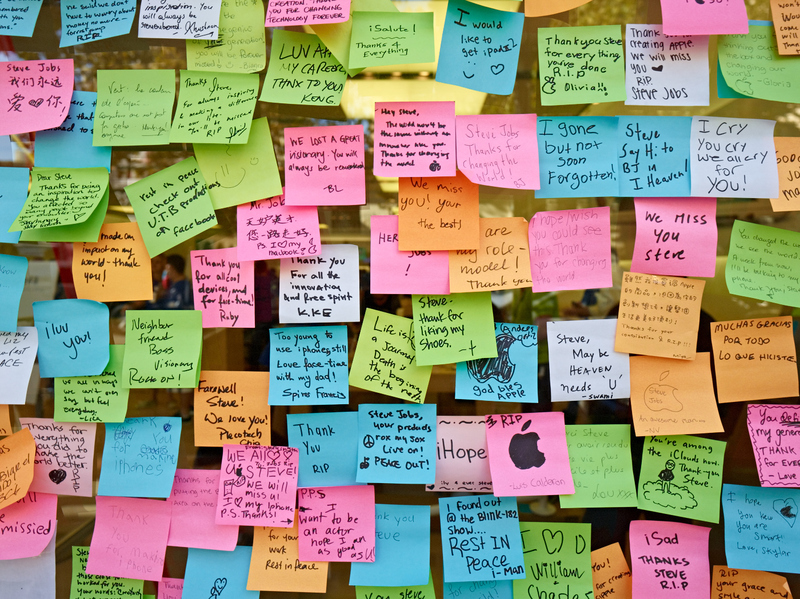 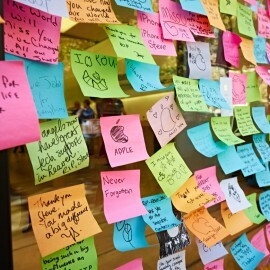 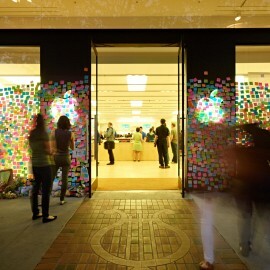 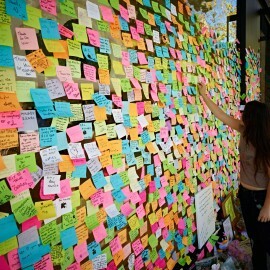 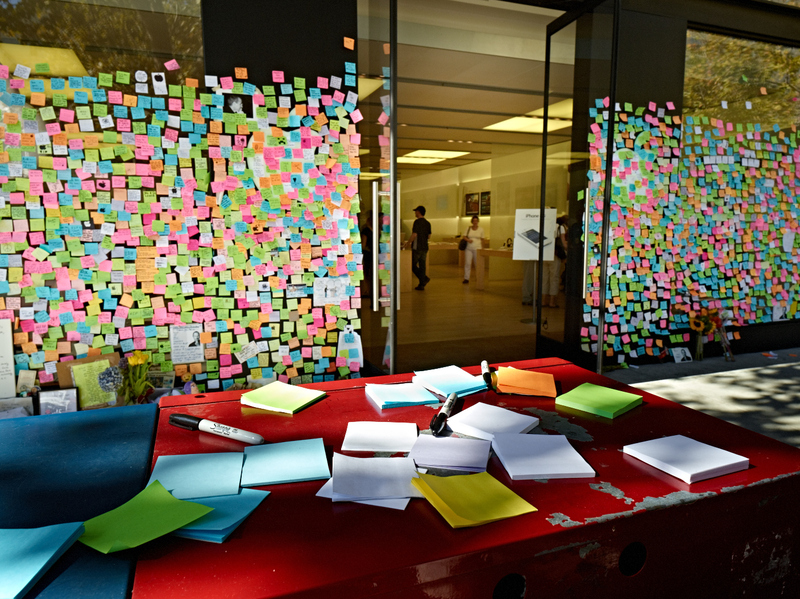 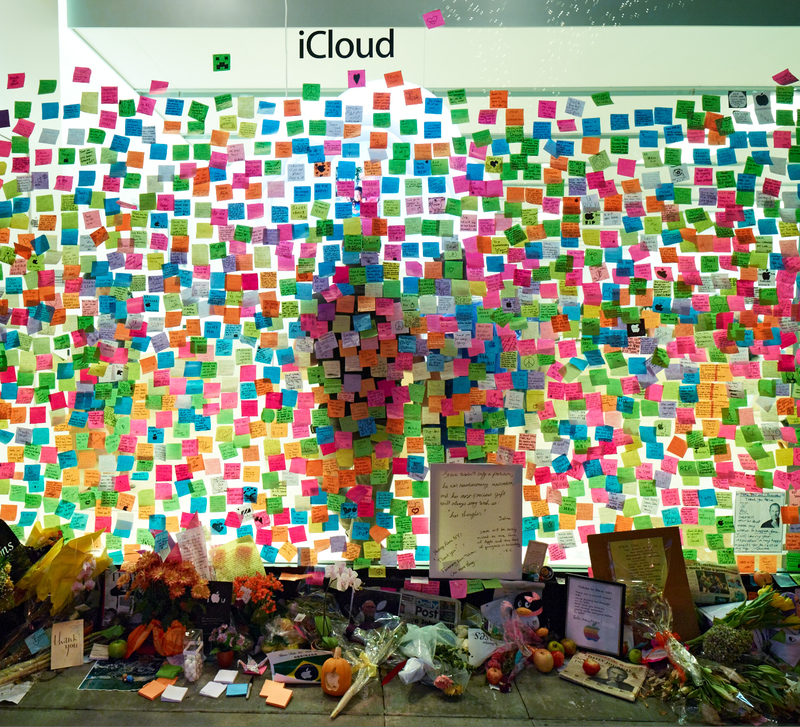 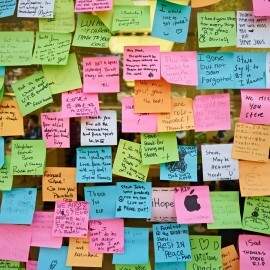 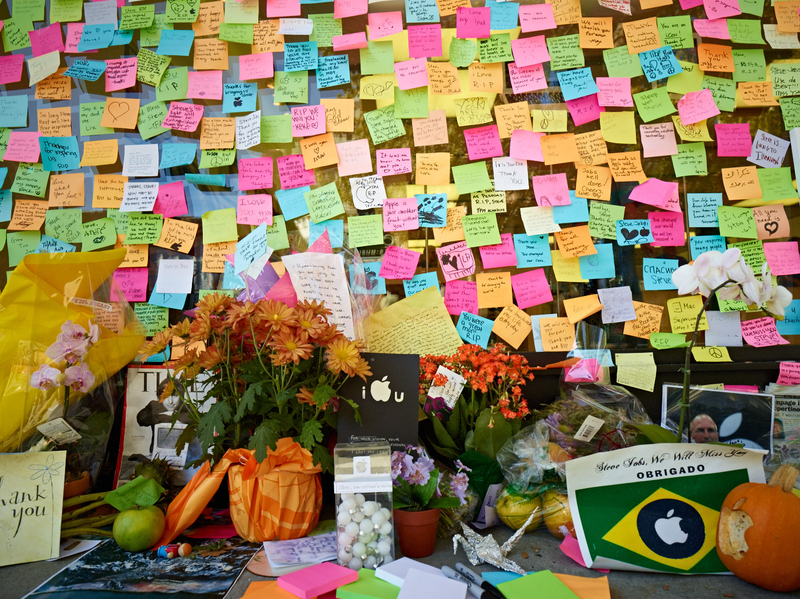 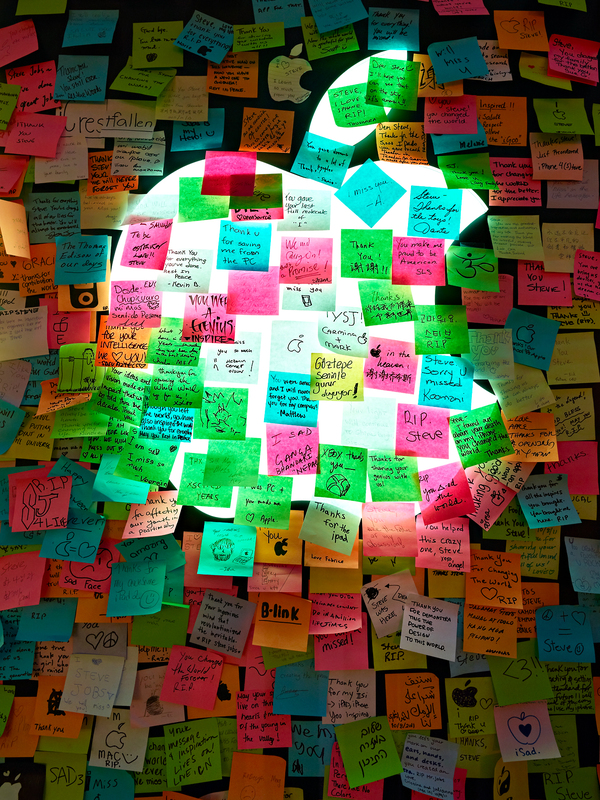 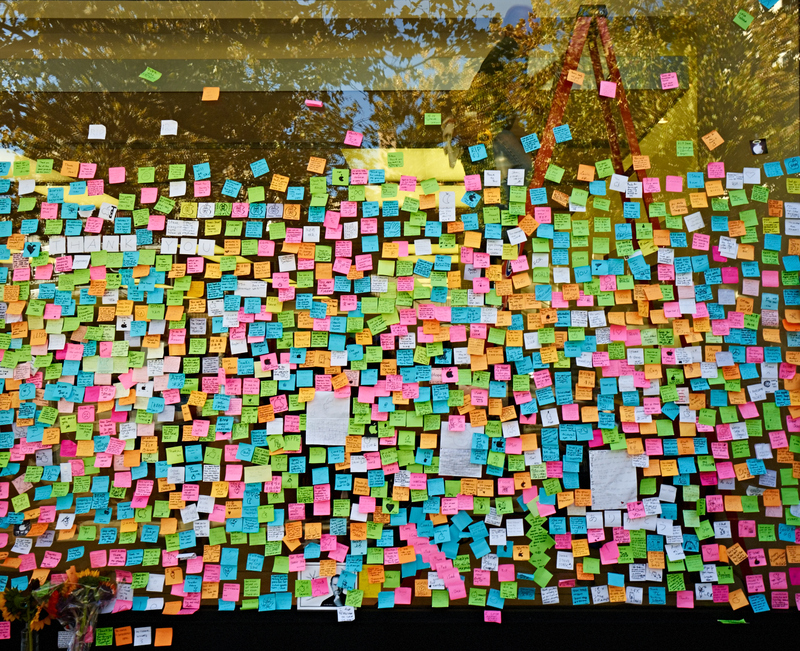 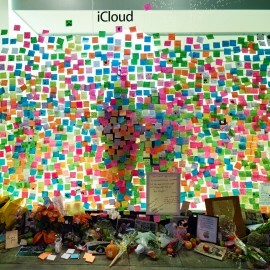 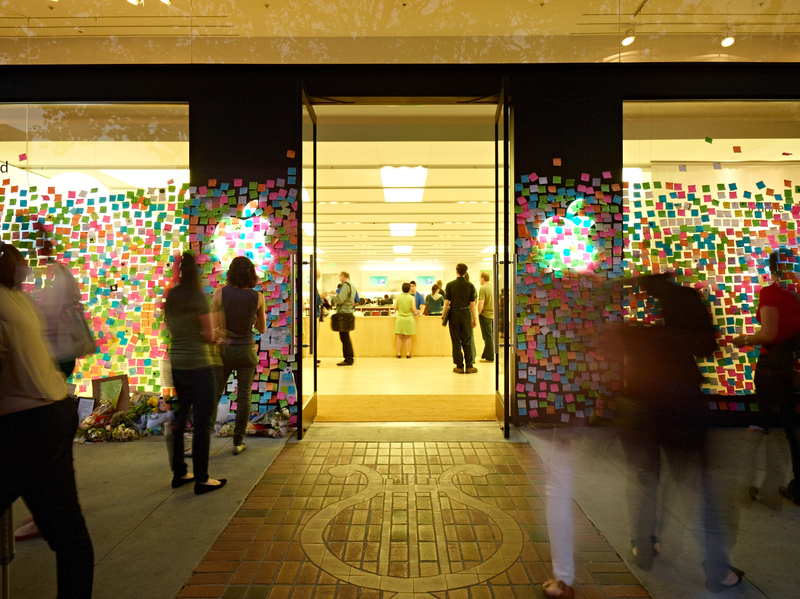 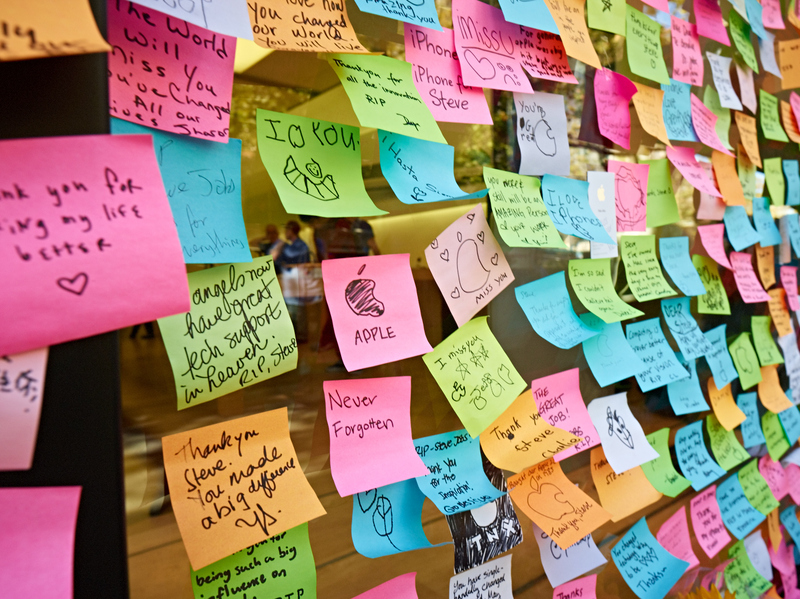 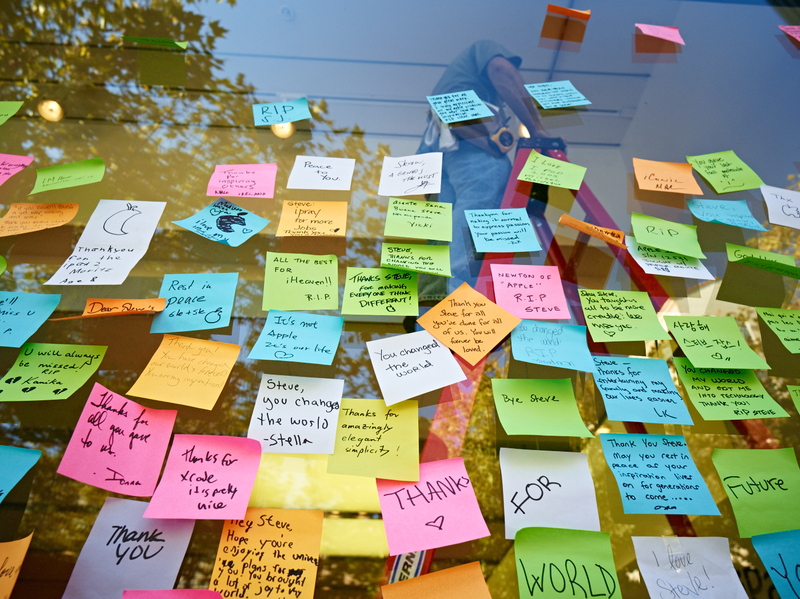 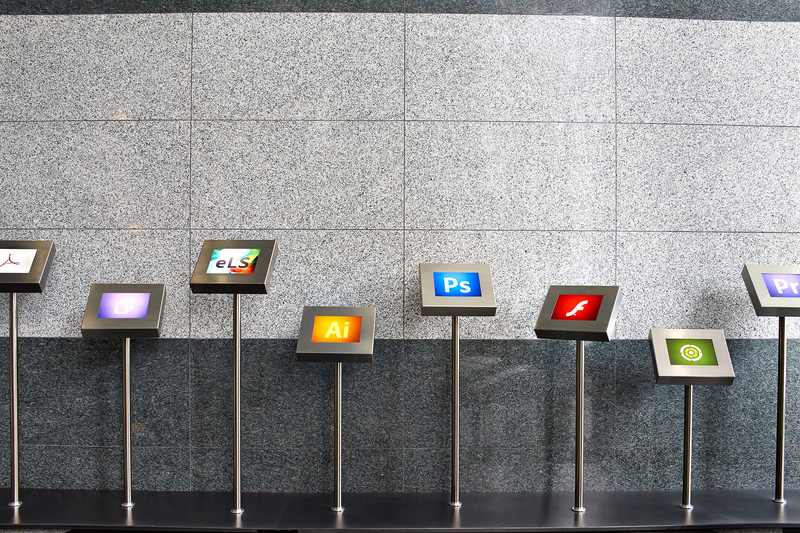 The notes, which were written on colored post-it notes, would eventually go on to cover the entire facade of the store – turning it into a public memorial for Jobs and the spark for a world wide trend that would be repeated at Apple stores around the world. 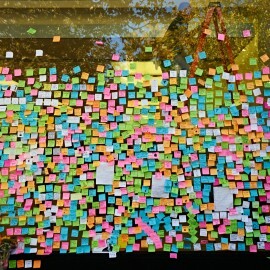 UPDATE: One of the images from this series just won a “Photo of The Year” award from Digital Photo Pro Magazine.